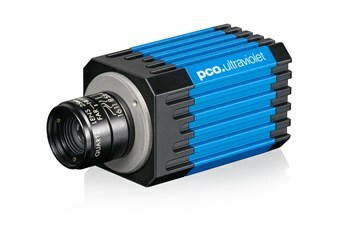 The pco.ultraviolet is a 14-bit CCD camera ideal for UV detection, material testing, wafer inspection, mask inspection, spectroscopy, machine vision, high-resolution microscopy, scientific imaging, low-light level imaging, combustion imaging, and industrial OEM applications. For additional information on specifications and ideal areas of application, download the datasheet. You can also contact pco-tech directly for more information or to discuss your potential imaging application.